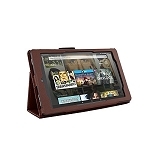 Very accessible tablet which comes with built-in screen reader which is very easy to turn on and use. More information below. For a very limited time only we have the Brand new Kindle Fire Tablet with VoiceView as the screen reader and using the very-high quality Ivona voices, Sally and Joey. 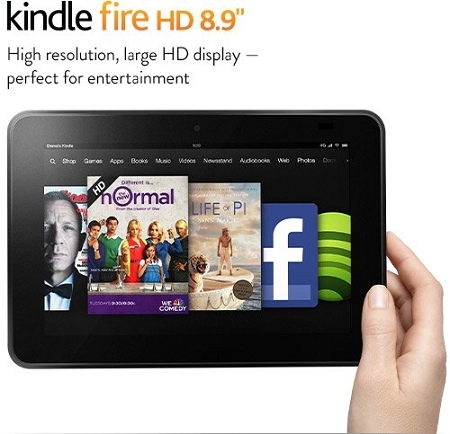 Amazon took the Android operating system and screen reader and reworked them to be easier to use on their devices. One can use microSD cards for storing one's files so expansion isn't a problem. I've tested it with up to a 256GB microSD card with no issues. It comes with apps one can use to not just listen to one's music, eBooks, and Audible books but to purchase and download them to the tablet. There are many other accessible apps available from the Amazon store which allow one to use it for many purposes such as listening to radio, podcasts, all sorts of entertainment such as NetFlix, and such. One can even get basic Alexa functionality in order to speak one's commands instead of using the touch screen for everything. We can also set it up so you can use the Google Play Store for an even larger choice of apps. One can use either a Bluetooth keyboard or connect a USB keyboard with the use of an OTG cable, so typing on it isn't a problem. The Amazon Fire Tablet has been a very welcome addition to my collection of accessible touch screen devices. I was very impressed with it especially for being so inexpensive. It's a wonderful entertainment device. VoiceView and Screen Magnifier enable access to the vast majority of Fire tablet features. VoiceView features IVONA’s award-winning natural language text-to-speech voice. Fire OS 5 also includes system wide closed caption settings, adjustable font sizes up to 50% larger, and a variety of book reading text adjustments such as adjustable colors and text spacing. Also includes adjustable font sizes/color, and built-in Oxford dictionary.